One of the best things to do with an iPad is to watch videos and enjoy the amazing quality that this Apple device can provide. An iPad is ideal to watch HD content from Netflix, iTunes and other entertainment services. Unfortunately, the option to play videos in .mkv format (HD video, 720p/1080p) is not available because video content that has AC-3 video is not supported directly by the iPad. However, there are some apps that will enable you to watch MKV videos that you have synced to your iPad or that are part of your PC’s library. Keep in mind that these apps won’t let you watch DRM-protected content. Most of these options are available for free, but they feature ads. If you want to get rid of them, you can upgrade to a pro version. Raymond NG has created a player for HD 1080 MKV video files without conversion on your PC. It offers a seamless playback experience and longer battery life as it uses full hardware acceleration while playing MKV and MP4 videos. It works with other popular formats like AVI, MOV, XVID and FLV and it allows you to download video artwork automatically. You can transfer files using the built-in web browser, without requiring iTunes and the app also supports SRT Subtitle. HD MKV Player has a user friendly interface and it is optimized for retina display. You can get a free version of the app with ads. Users in over 130 countries have chosen Playable as their method to enjoy MKV videos on their iPad without requiring conversion. The app was developed by Portable LTD, the same team behind HD MKV Player and it supports a wide range of formats including MKV, MOV, XVID, WMV and MP4. You just need to copy files through iTunes, Dropbox, USB file transfer or over Wi-Fi to be able to watch videos on your Apple device. Playable downloads movie poster automatically, has subtitle support and also gives you the option to look up TV Episode information. The free version offers all features but you can upgrade to remove the ads. If you are looking for a simple and highly effective solution to watch videos on your iPad, regardless of the format, AVPlayerHD by EPLAYWORKS is a top choice. 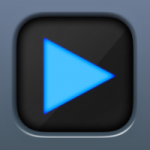 This advanced player is designed to support pretty much any video file format like Xvid, WMV, AVI and MKV. All you need is to copy files via USB and drag and drop them into the AVPlayer Media Explorer. Content can also be transferred via Wi-Fi and external subtitle files like SMI and SRT are supported. You can download AVPlayerHD for $2.99. PlayerXtreme deserves recognition as one of the best MKV players available as it offers outstanding features that allow you to watch videos in practically every format and to manage your video collection effectively. The app supports a large list of formats including MP4, MPEG, MPEG1, FLV, MPG, WMV and of course, MKV. You can search through your videos and organize them without any hassle. 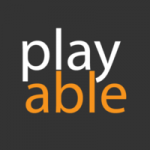 PlayerXtreme also lets you to play files from email attachments, as well as to control subtitles and language easily. You can even increase the original volume up to 3 times so you won’t need to use headphones to catch what is being said. This app from PentaLoop gives you many options to enjoy your family videos or your favourite movies on the go. This app developed by Koa Tran Ahn is set to be the best answer for next generation 4K videos. 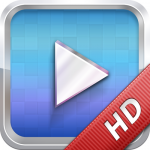 It is a highly efficient and reliable HD player for your iOS device. Apart from offering support for most video and audio formats, HD Player offers great features that make it a practical solution to enjoy all your movies and videos on the go. It supports Hardware-accelerated H264 decoder, which allows it to provide a better video playback time than other players. The Hardware-accelerated decoder also consumes less battery than other similar apps. With HD Player, you can manage videos by playlist and save the video exit time so you can resume viewing from where you left off. This is a comprehensive playback solution for video, music and image files that can act as a UPnP/DLNA player and controller. The interface that 8player offers is quite intuitive and clean so you will be able to manage its features without complications. The app supports files stored in 8player library on your iOS device which can be added via iTunes on your computer or downloaded from a UPnP/DLNA server. You can create and manage custom music playlists inside 8player or access your server over 3G/4G remotely. The app works with several video and audio formats aside from MKV, including OGG, ASF, FLV, WMA, MP3 and MP4. This app lets you stream files from your computer to your iOS device using Wi-Fi so that you can watch them anywhere around your house. 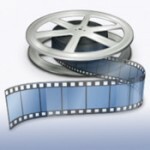 You don’t need to worry about conversion process or manual file transfer because this simple app allows you to enjoy content from your computer’s video collection on your iPad or iPhone. It is very easy to set up and you can customize the gesture controls. 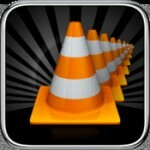 VLC STreamer Free by Hobbyist Software Limited supports multiple resolutions/streaming qualities and it is a fast processing and practical solution to play MKV files. Many people rely only on YouTube to watch videos and movies. If that is the case for you, this free HD Video Player for YouTube created by Al Mamun, will be the best solution for your iOS device. 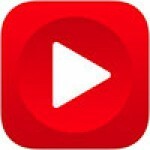 It allows you to search any YouTube video within the app to watch with HD quality. Fast Tube is true to its name by offering a responsive and quick way to watch videos and to share them on Facebook, Twitter or via email. 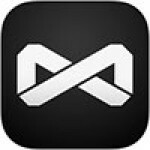 The app is very easy to use and it works with all the videos available in YouTube. Furthermore, it doesn’t store watching history and it doesn’t keep cookies or cache. You can also organize videos by upload date, rating, number or views and more.